How Far is Alisha Defence Paradise? “Defence Paradise” is a residential apartment project, inside Duo Marvel BDA Layout, close to Ramanashree California Resort, behind Prestige Monte Carlo and NCC Urban, Yelahanka, North Bangalore, in association with SLV Constructions and Developers, a leading developers having 15 years of experience in real estate construction industry and having many project at his credit. It is located 300 mtrs off State Highway Yelahanka - Dodaballapur and 3 Kms from Yelahanka Police Station. 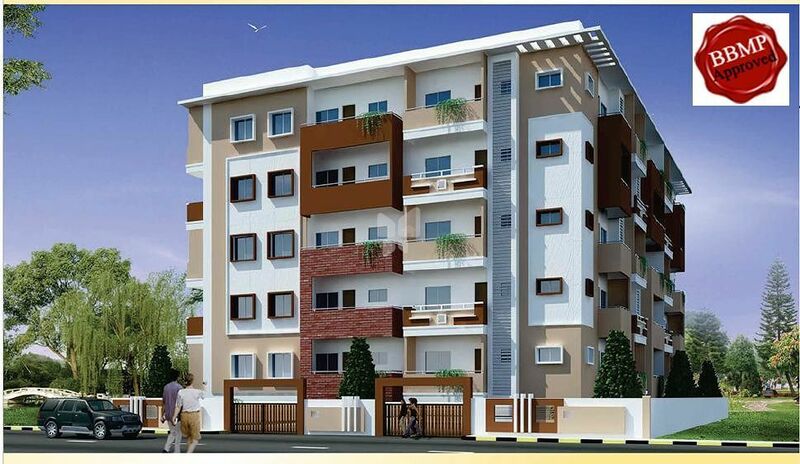 It consists of 30 Apartment in one block in G+4 levels having 2 and 3 BHK configuration. 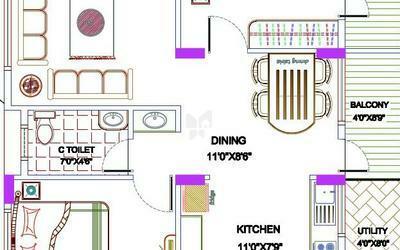 The sizes are 1175/1235/1265 sft for 2 BHK and 1385/1480/1540 sft for 3 BHK. The amenities are Multi-purpose Hall, well equipped gym, children play area, power back up in common area / each apartment and lift. Basic Sale Price is Rs. 3400/- SFT. The project itself is small, compact and set amid premium residential destination and in salubrious surroundings of Duo Marvel BDA Layout. This location in the northern of city is a happening place directly links the locality to Bangalore International Airport and this has triggered high property returns over the last few months. It is located in close proximity to many Educational institutions, Hospitals, Shopping Centres, Malls etc. which directly links the locality to Bangalore International Airport, thus making it an attractive option for owning one's home and an investment front. Customer’s interest is our topmost priority in terms of project selection, construction quality, marketable legal title, no price escalation during construction phase and delivering the project in time at a lower price in the vicinity of project, aimed at addressing the concern from concept to completion. This has been our USP in our 09 completed projects in North Bangalore. RCC Framed structure with necessary looting & beams. External walls 016' Solid cement block and Internal walls with 4: solid cement blocks. External Walls-Smooth sponge finish and internal walls - Lime renderings. Main door- Elegant teak frame with moulded panel door veneered with polish. 2 Track glazed aluminium sliding windows with safely grits. Living/dining/bedrooms/kitchen/balconies with good quality vetrified tiles. Polished granite slab for platform with stainless steel sink & 2' height glazed tile dado. Anti skid ceramic tie flooring & glazed tile dado upto 7' ht. Parryware sanitary ware & Jaguar CP fitting or equivalent. ISI mark concealed copper Wring with modular switches. Electrical points for split AC in master bedroom. T.V. 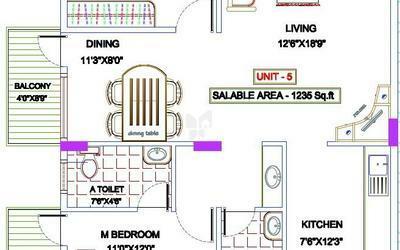 & telephone points in master bed rooms & living room. 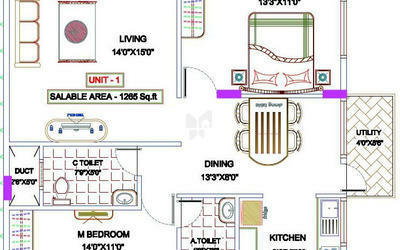 Sufficient power points will be provided in the kitchen and toiled and toilet for gadgets like geyser and exhaust fan. Inside: One wet of primer with two coats Emulsion External with weather proof paint. Granite/marble flooring lot lobbies & staircase. Over head & under ground tanks of required capacity with pumps for both ground water and Cauvery water. 100% back up power available for all common areas. lifts. lobbies & staircase.